The head of Canada’s top-ranked university has been in the UK on a recruitment drive, trying to scoop up international students. And he makes no secret of why his country has had such a bumper crop for the past couple of years – poaching students who might previously have gone to the US or the UK. It’s been a combination of “the election of Donald Trump and the advent of Brexit”, he says, which has seen two consecutive 20% increases in international students. 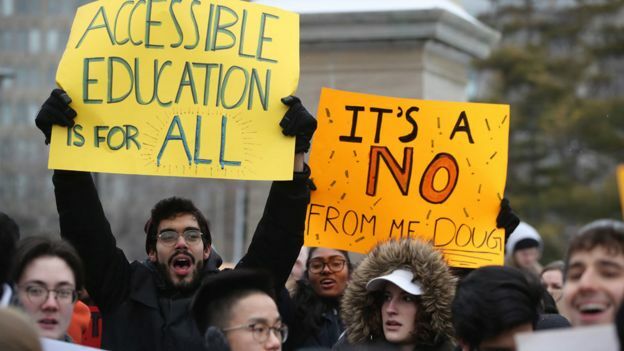 The University of Toronto is pitching itself as an open, global, liberal institution, in contrast to what Prof Gertler calls the “political turbulence” elsewhere. 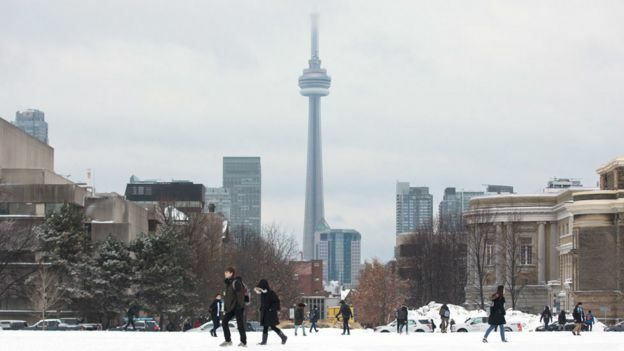 As an example, he says Toronto has attracted Indian students who might have previously gone to UK universities and Mexican students who would have gone to the US. 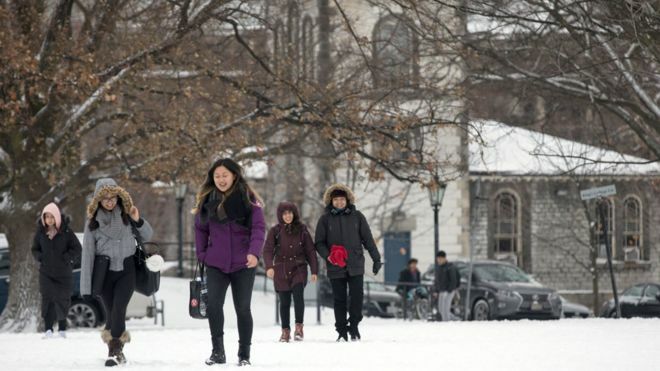 Canada has seen the number of international students more than double since 2010, to about 500,000, worth about £4.7bn to the country’s economy. There has been particular growth from countries such as Vietnam and Iran, along with the biggest senders such as China, India and South Korea. The message to students is that Toronto is an outward looking, cosmopolitan city, with high levels of migration, where they will be welcome. 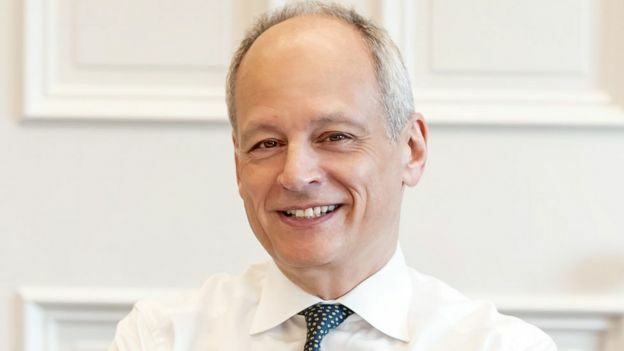 In contrast, Prof Gertler says, Brexit could give a negative impression to overseas students. But Toronto is no longer a cheap option. International students can now pay £30,000 per year, after fees were raised – paradoxically, to attract more students. It’s a result of the strange status-driven market in higher education, where affordability gets mistaken for low quality, he says. The university might have been in the top 30 in the world but its previously low fees appeared to be putting off international students. “We were a very highly ranked university – and yet we were so inexpensive, Prof Gertler says. “In the international market place, people had a hard time reconciling those two facts. In the UK, there has been a concern that people will use a student visa as a backdoor way of coming to live and work in the country. 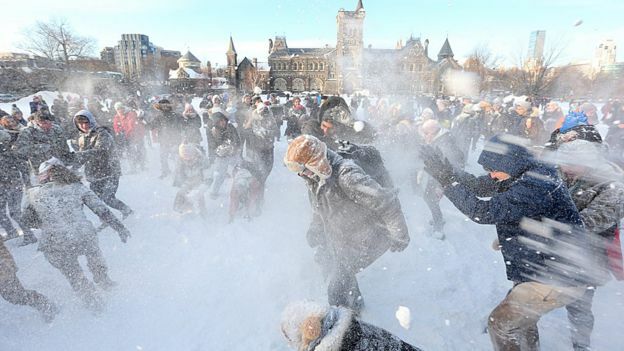 But, Prof Gertler says, for Canadian universities, that’s positively encouraged. When overseas students graduate, they can get work and apply to stay, looked on favourably as the type of skilled migrants that the country wants to attract. 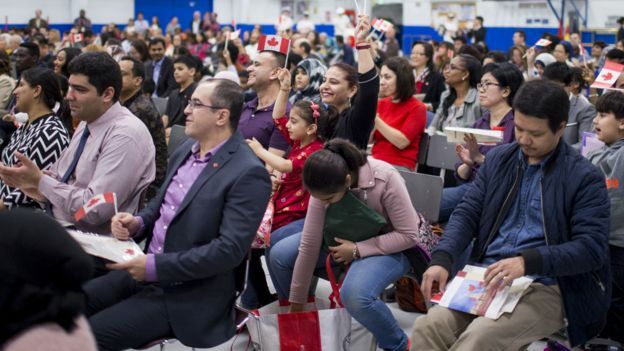 About half of the international students coming to Canada seek permanent residency, the Canadian Bureau for International Education says. That might be the difference between a big country with a small population and a small country with a big population but it puts Canada at a competitive advantage when recruiting international students. But if the University of Toronto is pitching itself as an example of internationalist, liberal values in action, these are also values some consider out of touch and elitist. Prof Gertler says the “biggest crisis” for such top universities is about access to places, which feeds into a sense of isolation and lack of support from the wider community. “I think that’s an existential challenge for the future of universities. Prof Gertler says that for his university, not having interviews but basing admission on exam grades and written statements has helped to make it less socially exclusive. “Much of the unconscious bias is from an interview process,” he says. But if universities want to keep public support, they need to be seen as places of opportunity and social mobility. Extraterrestrials : Are They Incompatible with Faith in a Deity? Next story Female Scientific History – researchers uncovered female programmers who made important but unrecognized contributions to genetics.